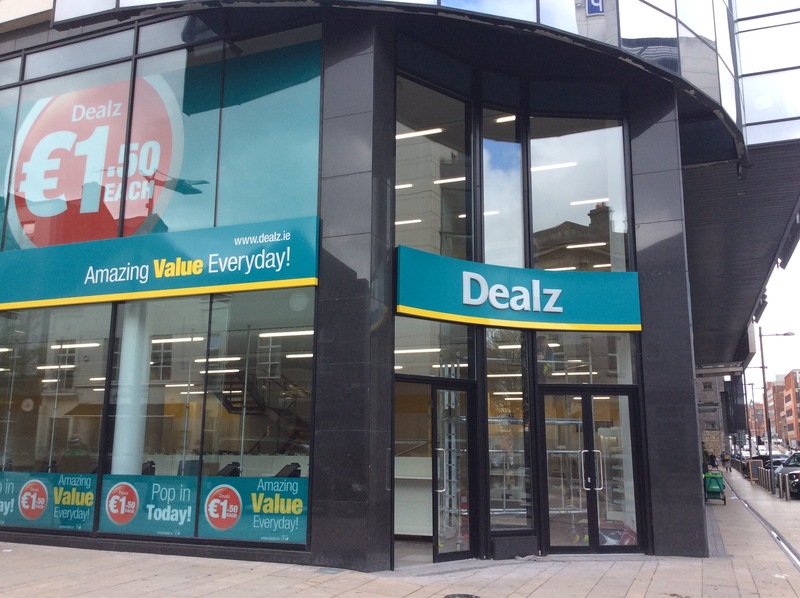 Discount superstore Dealz, a company linked to UK company Poundland will open it’s second superstore in Limerick City in a landmark building on Henry St in May 2016. The group, which are headquartered in Blanchardstown, already have a large store on William St in the city and the building formerly occupied by retail store Pamela Scott at the end of Bedford Row and corner of Henry St opposite the Harvey’s Quay building will be it’s second in Limerick. While the development of an empty building has attracted some praise, the addition of another discount store in such a prominent space has been unpopular with some city residents and business people. This follows the opening of a second discount superstore by Mr. Price in Annacotty earlier in 2016.